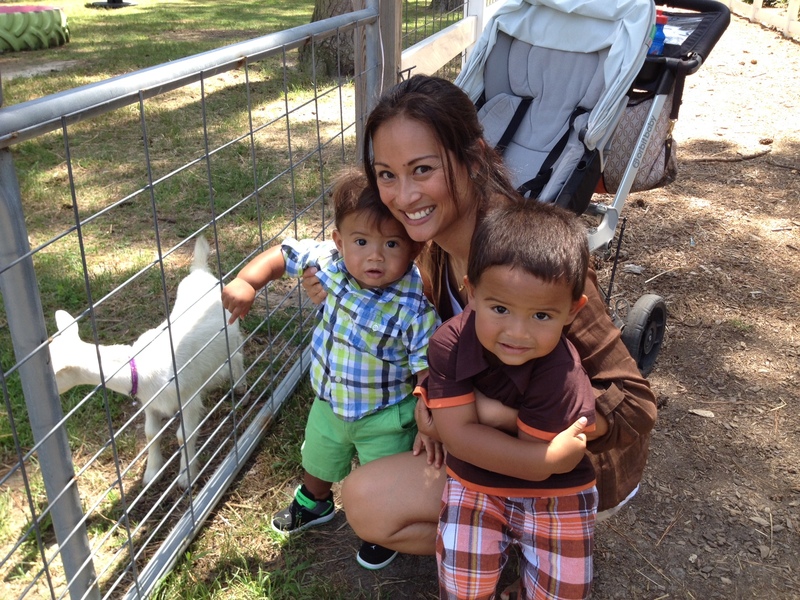 I took my boys to an outing at a Petting Farm over the weekend. The Hunt Club Farm to be exact, in Virginia Beach. I really wasn’t sure what to expect going into it, but our day was nothing short of amazing! The kids LOVE animals! 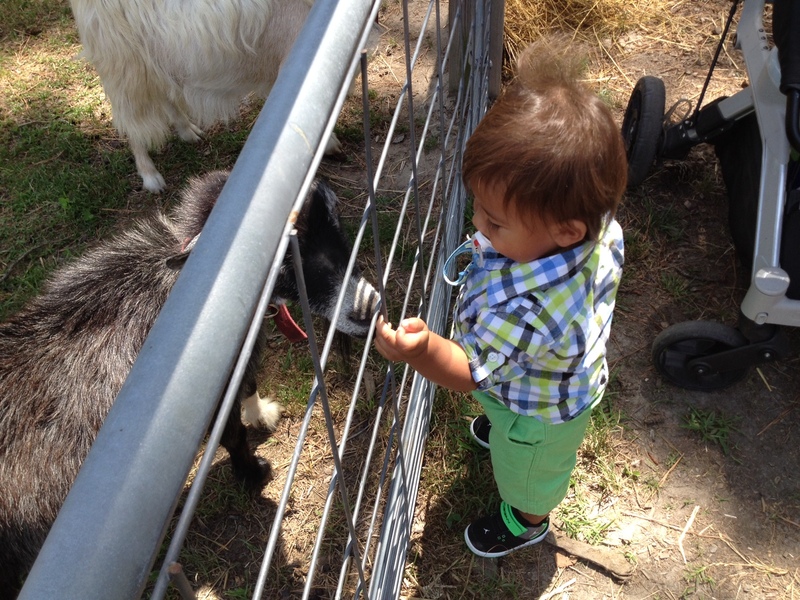 My younger baby Isaiah – he turns 1 in 10 days, had no fear when it came to feeding the goats right out of his hand and petting them. He actually went for it before big brother. 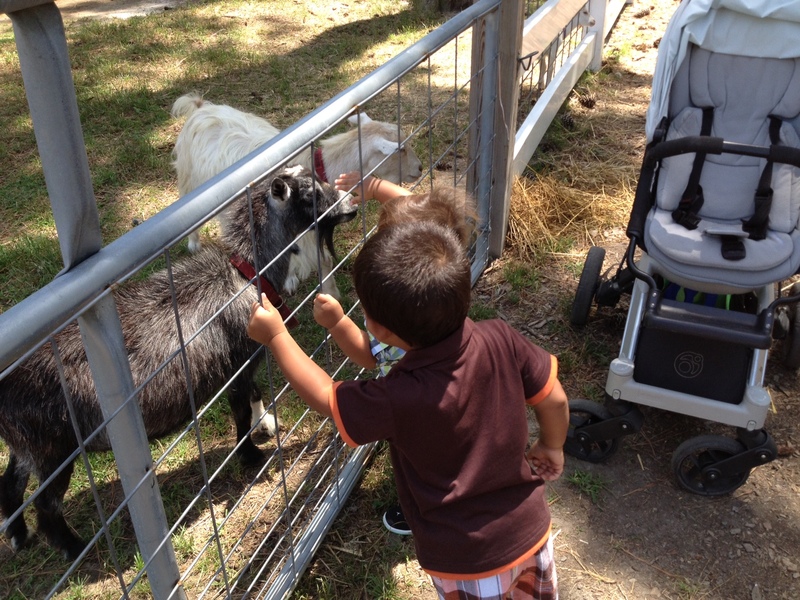 We didn’t go inside the goat/sheep area (although you could), but the goats were totally sticking their heads out to greet my boys, they were so excited! 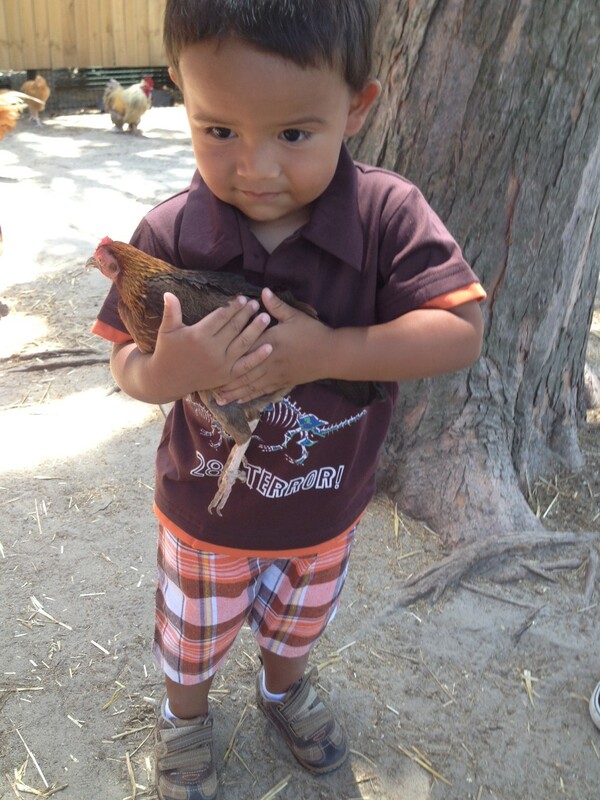 When it came to the chicken coop, I couldn’t begin to pull Raef away! He was all in and loved watching the assortment of chickens, roosters and turkeys walk by in the same space as him. He was extremely gentle, even holding a couple hens. 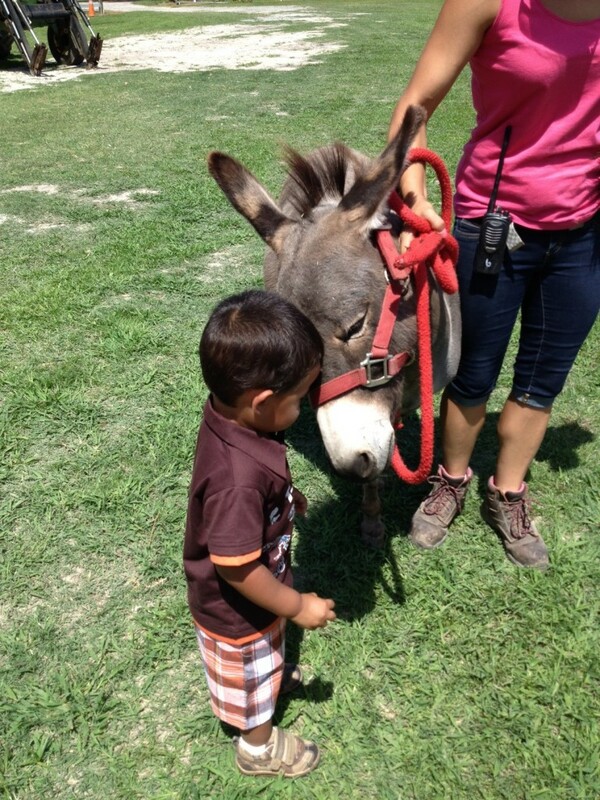 As a Mom it was so heartwarming to watch his interaction with the animals.